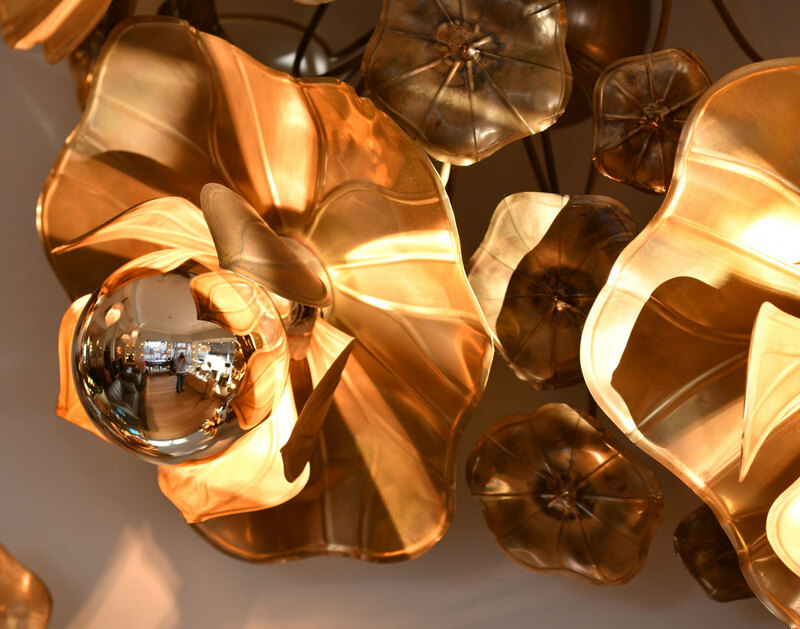 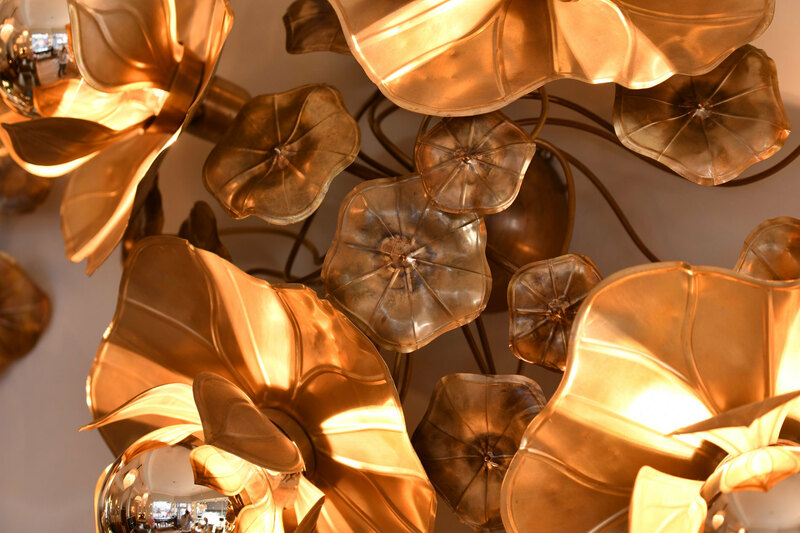 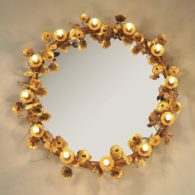 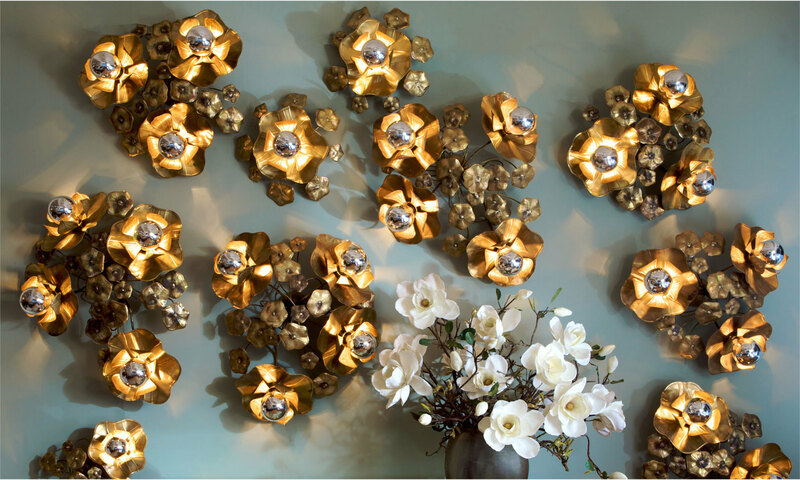 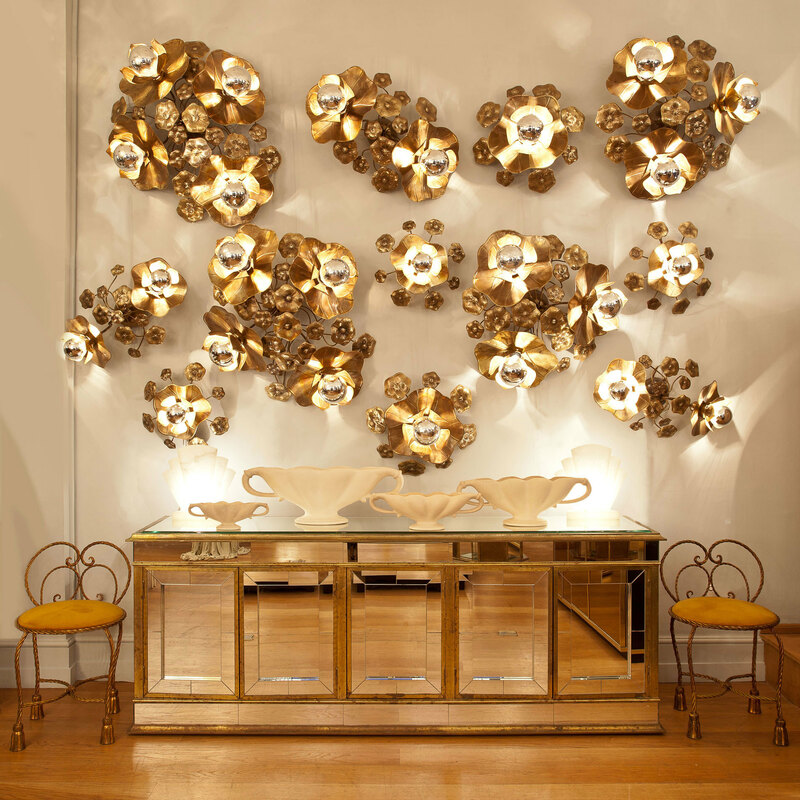 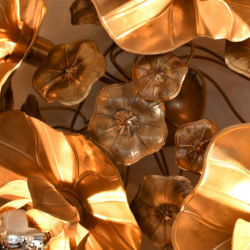 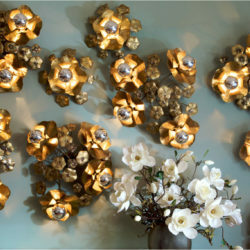 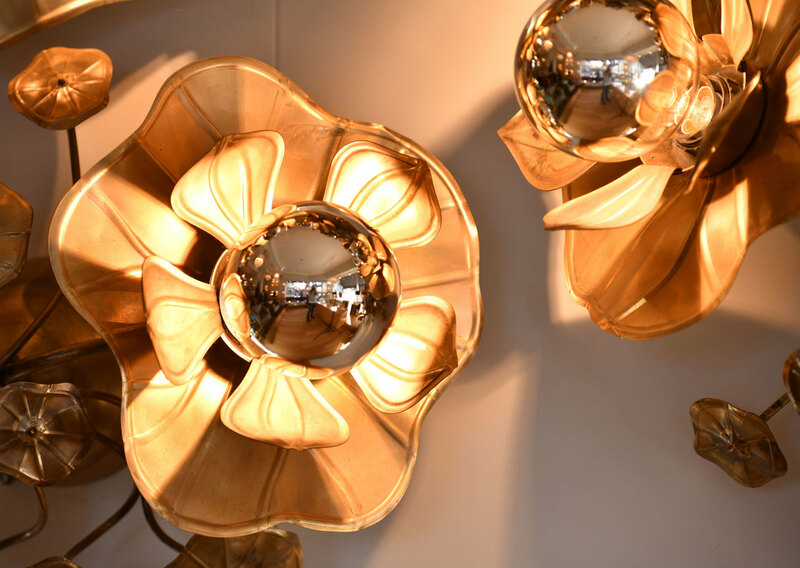 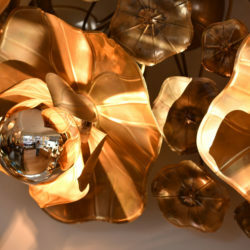 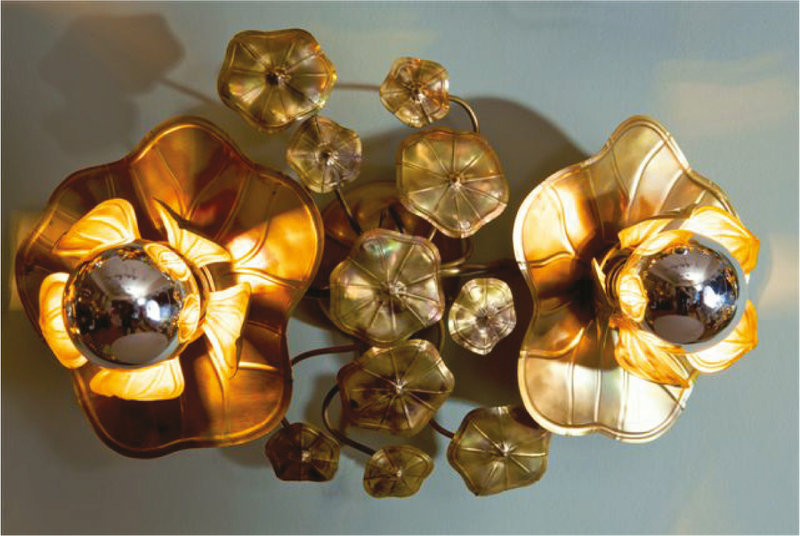 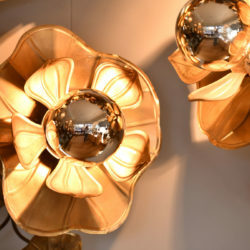 The 'Lotus' flower wall lights are made in solid brass and soldered with silver. 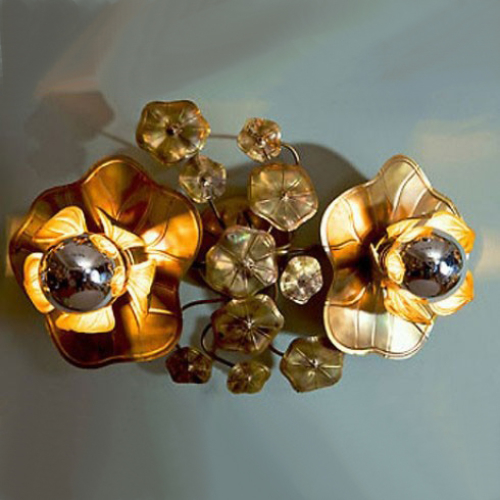 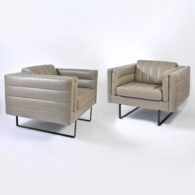 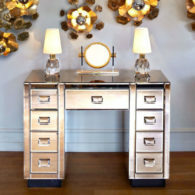 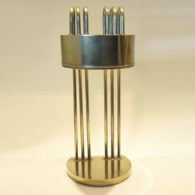 Each piece is unique as it is individually hand-crafted. 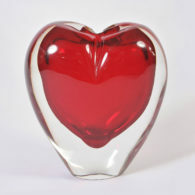 Made in UK exclusively for Valerie Wade. 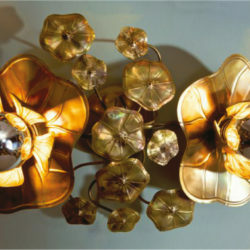 Can be adapted for the ceiling.